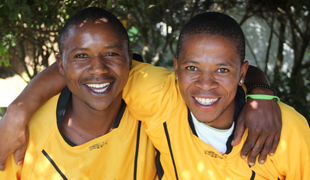 Our local community is very important to us and a key part of what we do, which is why we operate projects which include sponsorship of the local football team. A vital part of our work at Dyer Island Cruises, is our continued commitment to the local community and the people responsible for bringing so much joy and insight to our international guests. In partnership with our sister company Marine Dynamics and conservation organisation, The Dyer Island Conservation Trust, we are overseeing and managing a variety of projects design to help with education and support throughout the local community.